After two successful weekends of pre-season cricket, we move into May in good spirits and begin our league campaigns this coming Saturday. 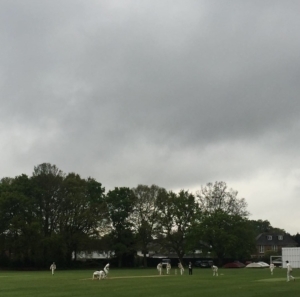 So far the 1st XI have had two good run-outs, defeating Chessington CC and narrowly coming up short against Walton-on-Thames CC while the 2nd XI have unfortunately missed out on their warm up games through a combination of opposition drop outs and poor weather. We’ve welcomed Dan Sharples, our 2018 overseas player, to the club over the past fortnight and he’s quickly taken a liking to Poplar Road’s track, blazing a quick-fire century on debut. There’s also been a good start for the Sunday 1st XI in the Surrey Trust with wins against Dorking and Spencer. The weather may have tried it’s best to prevent it but the lads put in strong performances to take the games. Top bowling performances from Fraser Trimmings and Trishan Patel restricted Dorking to 105. While a maiden 50 for the club from newcomer James Gribble ensured a strong score against Spencer. All in all positive signs for the season ahead. This coming weekend, the 1st XI begin their campaign away to Epsom CC, the 2nd XI are at home to Valley End CC, the 3rd XI are at Nursery Road hosting Valley End CC while the 4th XI take on Sunbury CC in an away fixture. We’d love to see as many of you at the club over the weekend to enjoy the benefits only the cricket season can bring – sun (sometimes), drinks (often) and good cricket (occasionally). A reminder that if you’re yet to pay your annual membership, this can be done in a matter of minutes by paying at the bar the next time you’re at the club. Just ensure you keep your receipt and hand it to Richard Slatford once paid. Senior outdoor training is also underway now on Thursday evenings at the club from 6:15pm. Finally, a huge thank you must go to Neil Robinson and his team who have created a brand new website for the club during the off-season. If you are yet to visit www.oldrutscricket.co.uk , please take a look as we’re extremely proud to have such an impressive website that promotes the club and all the brilliant work that’s going on at Poplar Road. We also have a new email address, so any correspondence should be sent to ‘[email protected]’. We hope you’re as excited as we are at the prospect of a brilliant 2018 season and look forward to seeing you at the club over the coming months.